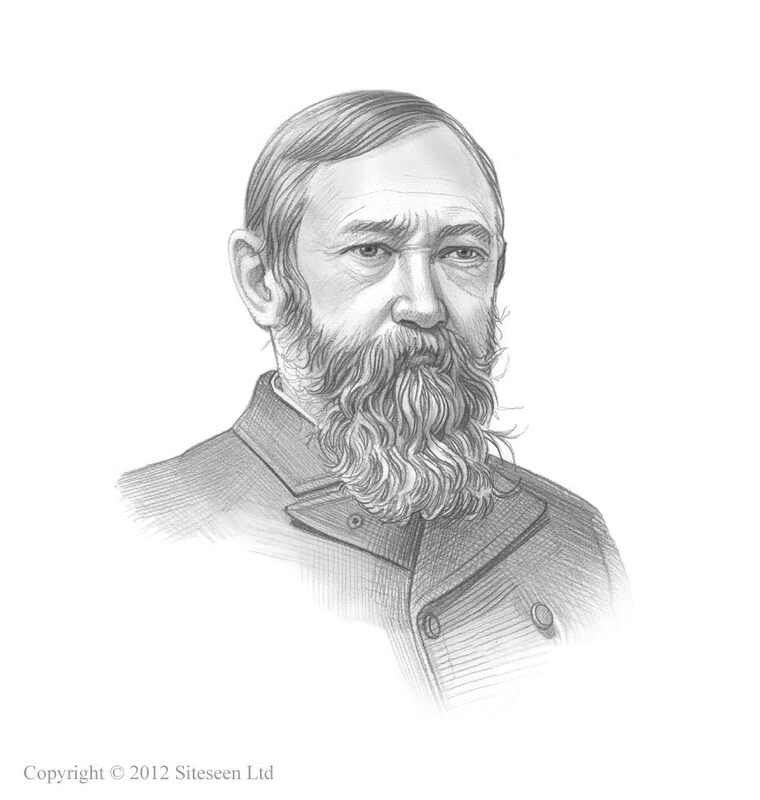 Queen Liliuokalani and the Annexation of Hawaii: Benjamin Harrison was the 23rd American President who served in office from March 4, 1889 to March 4, 1893. One of the important people who featured during his presidency was Queen Liliuokalani of Hawaii. Facts are also provided on the Annexation of Hawaii. Summary and Definition: Lydia Kamakaeha was born into the Hawaiian royal family on September 2, 1838. Liliuokalani married an American, John Owen Dominis, on September 16, 1862. She became Queen Liliuokalani of Hawaii on January 29, 1891 and was the only Hawaiian Queen to rule in her own right. Queen Liliʻuokalani was deposed on January 17, 1893, temporarily relinquishing her throne to "the superior military forces of the United States", in the hope that her position would be restored. Her hopes were dashed and the Hawaiian Islands became the United States Territory of Hawaii with a new government that was established on February 22, 1900. Interesting biography and facts about the Queen Liliuokalani. Hawaii had long attracted the interest of American businessmen. A treaty was made in 1849 between Hawaii and the United States, which provided for commerce and another treaty in 1875 saw increased activity in the sugar market. The highly lucrative sugar industry was almost completely in the hands of foreigners and their power in Hawaii was growing rapidly. King Kalakaua disliked the hold that foreigners had in Hawaii and joined with the Hawaiian Legislature and the native people of Hawaii in its cry of "Hawaii for the Hawaiians." King Kalakaua, a weak and ineffectual king, was no match for the powerful foreigners. They gained additional control in 1887 and an organization called the Hawaiian League was formed. Lorrin A. Thurston the leader of the 'Hawaiian League', later adopted the title 'Committee of Safety', and planned to make Hawaii a territory of the United States. In 1890 the McKinley Tariff was passed, which raised import rates on foreign sugar. Hawaiian sugar planters were undersold in the American market and an economic depression swept the islands. The sugar growers, mostly white American businessmen, knew that if Hawaii were to be annexed by the United States, the tariff problem would disappear as Hawaii would no longer be a foreign country. The Hawaiian League forced King Kalakaua to sign a new Constitution which decreased the power of the monarchy, wealthy foreign residents in Hawaii were granted the right to vote and closer relations were established with the United States of America. This new constitution became known as the "Bayonet Constitution"
In 1891, King Kalakaua was in San Francisco to sign a new treaty with the United States when he suddenly died. His sister, Liliuokalani, succeeded him as queen. Queen Liliuokalani ascended the throne on January 29, 1891. She shared similar views to her brother, disliked the power and influence of foreigners and resented that control had been taken away from the monarchy. In January, 1893 she seized the opportunity to re-take control of Hawaii by summoning the Legislature and attempting to institute a new revised Hawaiian Constitution. The Queen's constitution proposed to restore the privileges and authority of the monarchy and remove the right to vote from the white residents of Hawaii. The American residents of Hawaii appealed for protection to the United States warship the 'Boston', which was lying in the harbor of Honolulu. The committee’s militia joined the 162 U.S. Marines and Navy sailors and were ordered by John L. Stevens, U.S. Minister to Hawaii, to protect the Committee of Safety. The Committee of Safety led an unofficial coup d'état and established a provisional government headed by Sanford B. Dole. The monarchy was declared overthrown and Queen Liliuokalani was deposed on January 17, 1893. Although President Harrison did not sanction the coup he authorized the presence of troops in Hawaii to protect the lives and property of Americans. By 28 January, 1893 President Harrison negotiated a Treaty of Annexation. The Treaty of Annexation provided that the government of Hawaii should remain as it was, the supreme power to be vested in a commissioner of the United States, with the right to veto any of the acts of the local government. The public debt was to be assumed by the United States of America. Liliuokalani was to be pensioned at the rate of $20,000 a year. On February 1, 1894, the government was formally placed under the protectorate of the United States, and the American flag was hoisted over the government building by a party of US marines. The Committee of Safety realized Cleveland would not change his mind on the Annexation of Hawaii and called a Constitutional Convention on May 30, 1894. The Constitutional Convention drafted a constitution for a Republic of Hawaii. The Republic of Hawaii was proclaimed on 4 July 1894. Sanford B. Dole was proclaimed President of Hawaii, the republic's head of state and head of government. The coup by the Hawaiians failed and Queen Liliuokalani was arrested on January 16, 1895 for her alleged role in the coup. She was convicted of treason and confined to Iolani Palace and later in the Hawaiian palace known as Washington Place, . During her confinement she composed many musical works and wrote a book called "Hawaii's Story by Hawaii's Queen". She composed over 150 songs, including the song "Aloha Oe" which means "farewell to thee"
Whilst under house arrest, the queen agreed to formally abdicate and dissolve the monarchy, in return for her release. In 1896, the Republic of Hawaii granted her a full pardon and restored her civil rights. In 1910, she brought an unsuccessful lawsuit against the United States seeking compensation for the loss of the Hawaiian crown land. She lived in the Washington Place palace until her death on November 11, 1917, following a stroke. A statue was erected in her memory on the grounds of the State Capital in Honolulu.